The holiday season kicks off with a spectacular show of Halloween, so of course, we are taking part! We spent a ton of time on these this month, and hope you'll be able to join us throughout the entire month. But know that we are relaxed, pop in and out as you can. Just be sure to use our hashtag so we can find you. We will be trying to squeeze in a ton of shout outs and pour love on you all during the month too. All of the prompts are detailed below, so if the vague prompts on the image brought you here, your answers will be found! If not, shoot me a message, I'm always around for my lovely bibliognosts. Oh, and we have a new co-host this month. While we love Megan, she is busy with her family right now, so the amazing Kylie is going to join us. I hope you will all welcome her this month. I hope you will join in... just follow me on Instagram and check it out! #TBR – Top 2 – Are you reading any special Halloween books? 3. 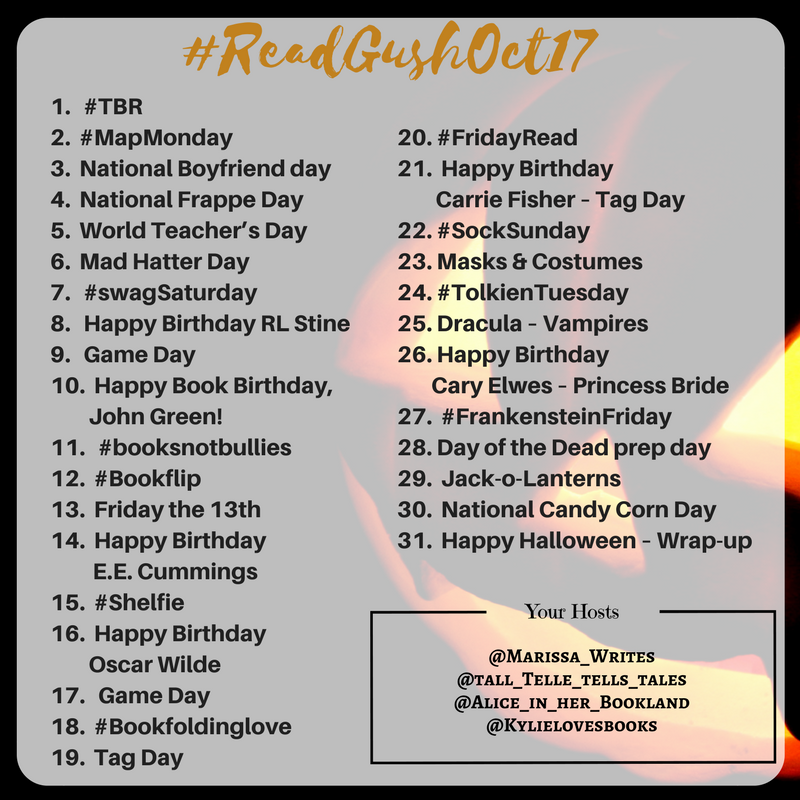 National Boyfriend day –Gush over your book bf/gf from a recent read – or your favorite. 4. National Frappe Day – Gush with us over your favorite fancy drink and a frilly fancy character! 5. World Teacher’s Day – What was the last book that helped teach you a lesson??? Or was a specific teacher who, through a book helped you love reading? 6. Mad Hatter Day – Let’s gush over any Mad Hatter aspect… Alice, crazy characters, unbirthdays, tea parties, or the best hat! 7. #swagSaturday – Gush over some of your favorite bookish swag! Don’t forget to tag shops so we can check them out. 8. Happy Birthday RL Stine – What was the first scary book you remember reading?? No need to be embarrassed, let’s hear it! 9. Game Day – Share your favorite color in all the emojis of that color! 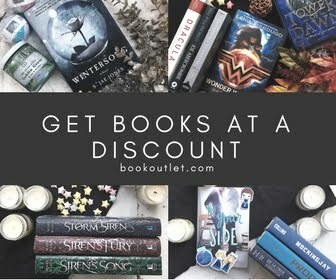 And of course, showcase that color in your books. 10. Happy Book Birthday, John Green! 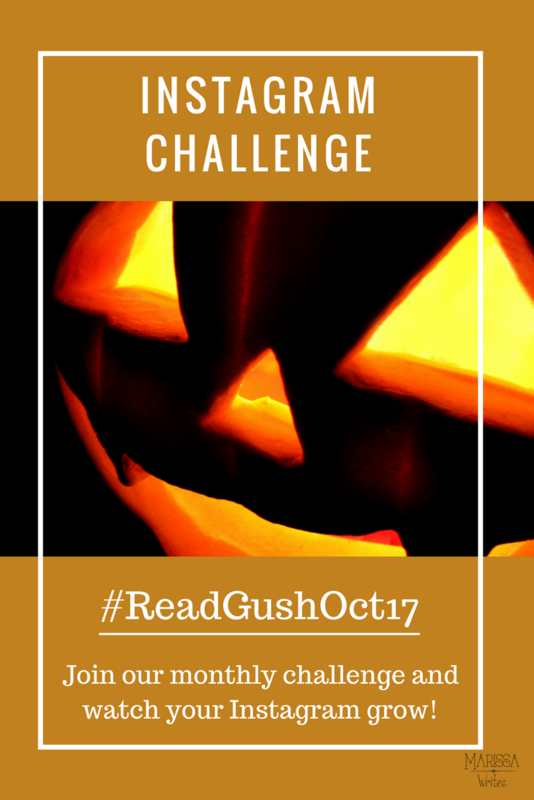 – Let’s gush over contemporary stories? Are you a fan? Don’t be afraid to share an unpopular opinion today! 11. 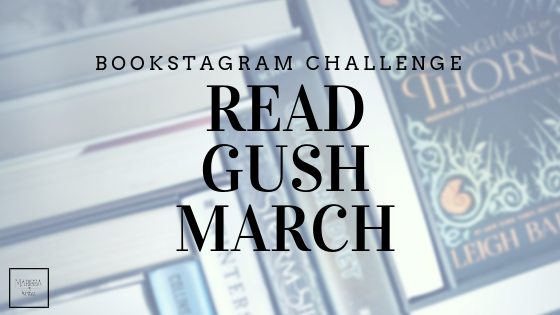 #booksnotbullies – Show off the bookstagram love and give free shout-outs to some new friends, we all want to find some great friends to follow! 12. #Bookflip – alright, let’s test those muscles and flip those books! Oh and maybe give special thanks to anyone who helps you with this one, because seriously, theses need extra hands. 13. Friday the 13th! What was the last book you read that you had to stash in the freezer – for all you non-Friends fans – the last book that you had to put down for a bit because it was just too scary. 14. Happy Birthday E.E. Cummings – Gush over some poetry… or do some blackout poetry in an old book… or share a poem you wrote… be creative! 16. Happy Birthday Oscar Wilde – Gush with us over some classics – do you have a favorite? One you want to read but haven’t?? 18. #Bookfoldinglove It’s back!!! Time to show off those old books that you have folded into art… if you want some help with one, check out our Pinterest page for tons of free patterns, and tutorials… here is a good youtube video to get you started. 24. #TolkienTuesday – let’s see those Tolkien, Hobbit, Shire, Gandalf, wizardry shots! 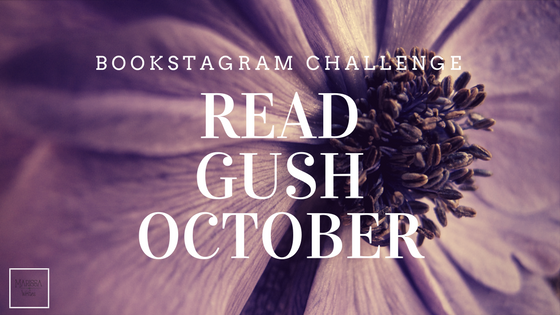 What do we need to gush over in November?? Share your ideas in the comments! Hi Sue - shoot me an email if you want a review - my email is listed on the side - I'm pretty busy with reviews for the rest of the year though.